Flat Julia has been left at school for the last few days resting up on the shelf. We have had a lot of sick children and been busy with the school production. 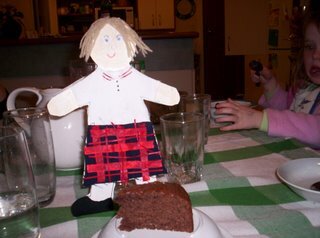 Flat Julia has gone home with Lilli tonight and will be going to Christchurch for a fun weekend. Flat Julia and I read a book and we went down the flying fox. 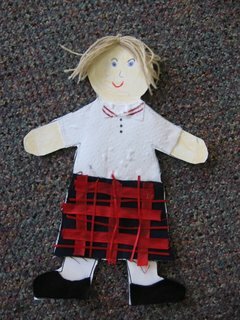 We made another flat Julia and it was called Flat Caitlin and Flat Julia slept on my couch and I put a blanket on her and I showed her to Shutz and Ann. When we had tea she stayed on the couch in the kitchen. She was going to sleep in my bed but I forgot to put her in my bed. When I had Flat Julia I read a book to her called Boyz Rule. She liked it lots. She slept in my pillow case so she wouldn't get cold and I made my own Flat Taylah and my brothers made one too called Flat Cassidy and Flat Harlyn. I dont know where my brothers are and I don't know where Cassidy and Harlyns slept. They probably slept on the table. I played with her lots. Flat Julia went on the swing with me. Charli barked at us. Flat Julia watched Sponge Bob with me and I think Henry watched Sponge Bob too. Flat Julia slept with me in my bed. In the morning Flat Julia had toast like me and Charli. Kim and Henry had Weetbix. Flat Julia got dressed in my bedroom. Grant and Flat Julia and I went to the shop to get some ice cream. Flat Julia helped me do my homework.When we had finished my homework Flat Julia and I helped Kim do some school stuff. Flat Julia and I did not go on the computerr to send a letter to Tara but I hope Mum will let me today. Last night Flat Julia had a visit at the Wagner house. We got up to lots of different stuff. We watched Sponge Bob Square Pants together with Flat Sarah. When we were watching Sponge Bob Square Pants Flat Julia laughed and Flat Sarah laughed. They laughed because the snail pooed on Sqidword.When we had tea Flat Julia said "I love this tea it is scrumptious." We ate all of our tea so we got to have an icecream. Flat Julia slept on my duchess. In the weekend Flat Julia came to my house. We were going to go and see Katie because she is going to have a baby but we didn't. Flat Julia slept in my bed. When we got into bed we read some books. On one of the books there was a girl holding a fake world. On the world it said "It's a girls world." Lucy is still away sick. Her brother couldn't find Flat Julia to bring her back to school. Luckily Lucy's Dad found Flat Julia and bought her back just before playtime. She is going home with Lilli for a fun weekend. Flat Julia is having a little holiday at Lucy's house. Lucy has been away sick for two days so we hope Flat Julia is not sick as well. I wonder what she is up to. When Flat Julia was at my house. Sarah and I made Flat Leighs and Flat Sarahs. We had lots of fun making flat people. We took some photos on the trampoline. It was fun bouncing on the tramp, then it was time for Sarah to go home. When Julia came to my house we made a chocolate cake. When my friend Sarah was at my house we had fun making the cake. 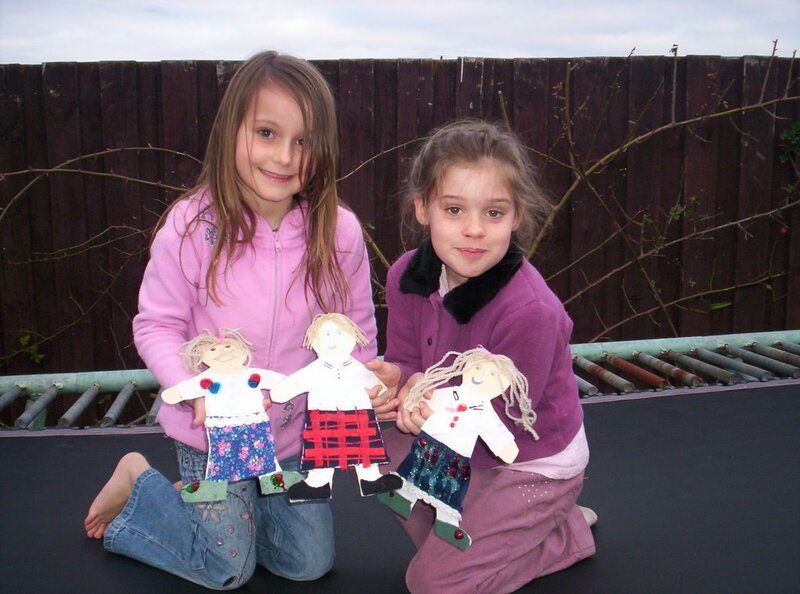 Then Sarah and I went on the trampoline and took a photo with flat Julia. We took her to Karen's house to see her wedding dress,shoes and jacket. They were pretty. Keri tried some of the shoes that Karen was wearing to the wedding in Ireland. On Saturday I took Julia to soccer. 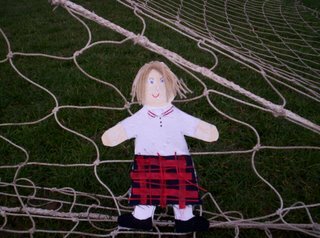 I took some photos of her on the soccer net. Flat Julia slept on the shelf in my bedroom. I was the lucky one chosen to take Flat Julia home for her very first night in Brightwater. We played on the computer on the Barbie site. We had fish and chips together and today she is going to stay at someone elses house. I wonder whose. We had lots of fun together. I'm sure she had fun too. 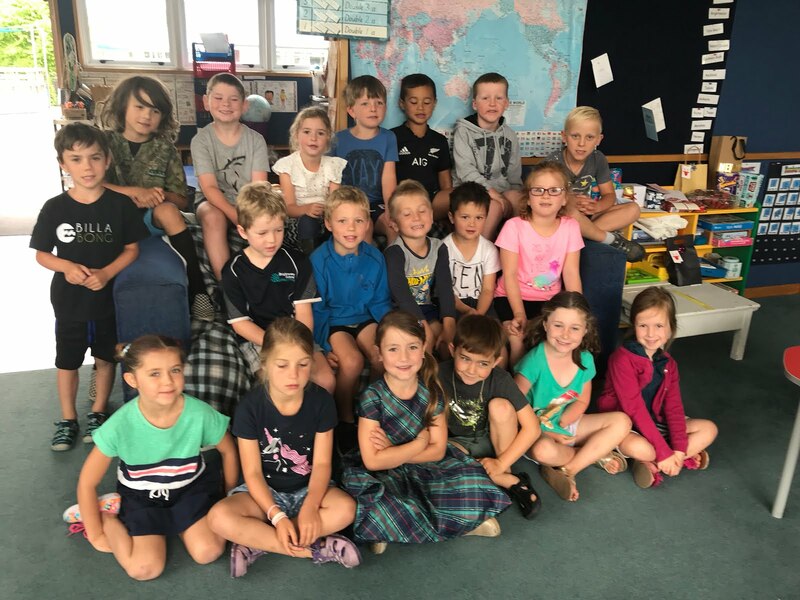 Today Flat Julia arrived at Brightwater School. She was delivered in a large flat envelope by the post lady. She came from St Pauls School in Richmond, Nelson. She is wearing her school uniform. She was run over by a bike. We hope she enjoys her adventures at Brightwater School. 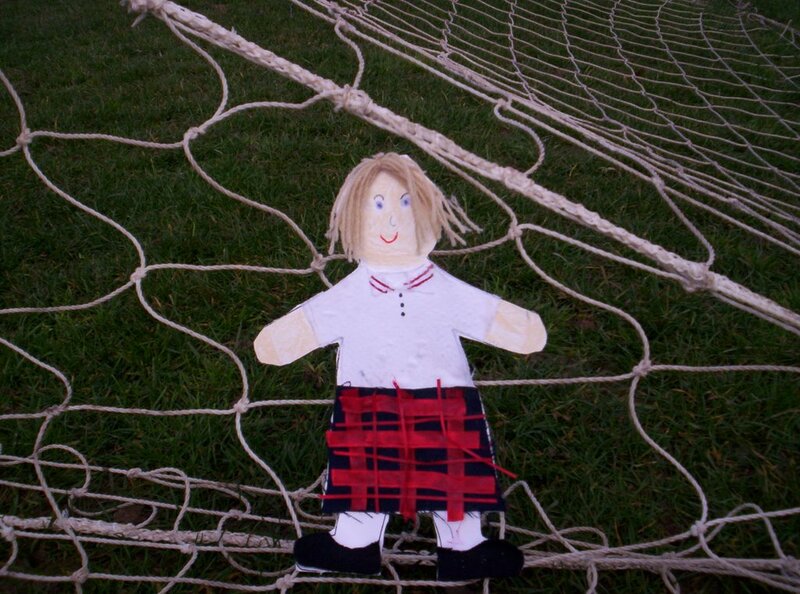 Visit our blog daily to see what Flat Julia has been up to.